Expertly created to gradually release caffeine using specially designed beadlets, our innovative phase-release technology delivers a sustained caffeine boost to help increase your alertness*, endurance performance*, and improve concentration* – to help power you through the toughest of workouts. 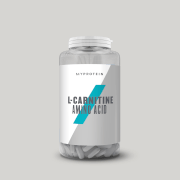 Each serving contains 194mg of caffeine, and every capsule is encased in conjugated linoleic acid (CLA), and a natural source of vitamin E.
What are the benefits of Delayed-Release Caffeine Capsules? Our phase-release technology means your alertness and concentration are extended over a longer period than standard caffeine. So no matter when you take Delayed-Release Caffeine, you’ll be ready for an explosive workout – a boost whenever you need it. Caffeine: widely regarded as one of the most popular ingredients in sports nutrition, caffeine is a stimulant that keeps alert during your workout. 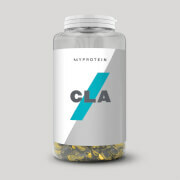 CLA powder – conjugated linoleic acid is a naturally occurring fatty acid that is derived from safflower oil. It’s found naturally in many dairy and beef products. When should you take Delayed-Release Caffeine capsules? It’s recommended to take caffeine 30-60 minutes before a workout, to make sure you’re revved up and ready. But, our phase-release technology means you’ll keep on receiving the caffeine boost for longer than you would from standard caffeine, so it’s super convenient in or out of the gym. 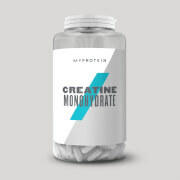 Mypre™ 2.0 – an explosive blend of creatine, citrulline, essential vitamins and minerals, and other scientifically proven ingredients for the ultimate pre-workout. Please note that the labelling on this product is provided in English as a minimum. French, Italian, German, Spanish, Danish, Swedish, and Finish may also be present on a product-by-product basis. We recommend consuming up to 2 capsules daily. Warning: Contains caffeine (194 mg per total daily intake), not suitable for children, pregnant women and persons sensitive to caffeine. Do not exceed the stated recommended daily dose. This product should not be used as a substitute for a varied, balanced diet. Keep in a cool dry place out of direct sunlight. Not suitable for vegetarians. Store out of the reach of young children. Not suitable for vegetarians. Allergen Information: Manufactured in a facility which handles nuts and peanuts. Conjugated Linoleic Acid (CLA), Caffeine, Gelatine, Sucrose, Gelling Agents (Hydroxypropyl Methylcellulose, Microcrystalline Cellulose), Emulsifier (Acetic Acid Esters of Mono- and Diglycerides of Fatty Acids), Glazing Agent (E1201), D-Alpha Tocopherol (Vitamin E), Colour (Indigo Carmine). Caffeine food supplement capsules with conjugated linoleic acid and vitamin E.
I'll start by disclosing the fact, that as an avid coffee drinker & user of high caffeine pre workouts for 8yrs, I have built up something of a tolerance to stimulants. Although I still et the nootropic mental focus effects from pre workouts, the caffeine rarely touches me, even in doses upward of 400mg. Of late, whilst on a cut, I have been popping a serving of 'MyThermo' on awaking in the morning. I have found this to give me a mild kick, but decent focus in the mornings, on the way to and at work (although im taking them purely for increased metabolism). This morning (7am), after a rare poor nights sleep (4hrs), I got up for work half awake & took 'MyThermo' & 2 DR Caffeine pills. 45mins later on the train journey, I felt fresh, alert & naturally awoken. Really didnt feel as though I had taken a supplement or even a coffee. Throughout the morning I did begin to feel like I had been drinking coffee, with an increased, but very smooth feeling of energy and alertness. To the point, its now 14:30 & I still feel very clean natural energy, focus & have not even had one coffee yet. Crazy, as I would usually of had 3-4 by now. Excellent product! Unlike most caffeine supplements this will not give you a slap to the face in order to wake you up and make you feel like you can lift a double decker bus followed by a 10k assault course and round it all off by climbing Everest! Simply take 2 of these beauties and over a period of 30-60 mins they will gradually make you feel more focused and alert. Basically a good nights sleep in pill form. After finishing work and absolutely wanting to drop dead I took 2 of these around 5pm and was left feeling completely focused and refreshed for the next 4-5 hours. Don't be put off by the price. Worth every penny. Zero side effects and no come down! Tried this item for the first time. As I was feeling a bit lethargic with diet and exercise. And it truly is amazing! I felt picked up with no calories and no come down! I would recommend this product to everyone. So much so it has made me write a review, as I'm not one to usually do so. Absolutly fine. I am more than satisfied. I have been using these tablets twice a day for over 2 months now and they are simple fantastic. I take one at 4am before a 3 hour drive to work and another at 4pm before a 3 hour drive home. You don't feel a sudden rush of caffeine nor a come down. I feel highly alert but not shaky as if you have drunk 2 cups of coffee or energy drink. This biggest bonus is you don't need an urge to constantly go to the toilet like other caffeine drinks make you do. Highly recommend. These capsules are great for those who work early mornings and late nights. I work from 5 AM 6 days a week so one capsule before work gets my mind and body ready as if I had a normal coffee and after that I continue my day as normal. Been popping a couple of these beauties every day for the last week. The focus is amazing and gives me a really positive edge for a prolonged period of time. Great product and visually looks out of this world.